Empowering girls to break the stereotype boundaries surrounding girls in computer science. 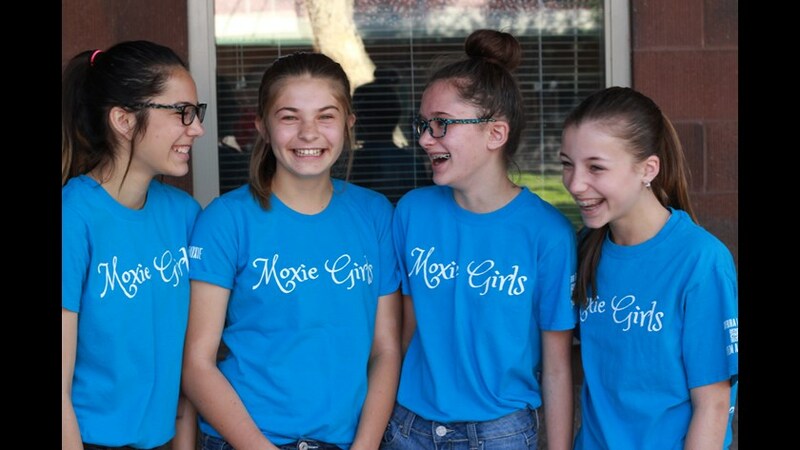 The Moxie Girls were named the 2017 After School Excellence Award winners. We are so proud of the girls and everything they have accomplished in this past year. These girls have learned how to learned how to code in HTML, CSS, and Java. They have learned how to build and program robots. They have also learned how to program and build drones. They were the youngest group to host an International Drone Day. These girls have become role models for younger girls who have an interest in computer science. The Moxie Girls were featured on News Channel 12 as they were working towards getting funded for their drone project. We are pretty sure they are the only all-girls drone group in the state at the middle school level. These girls are preparing to take over the skies as they build, program, and compete in drone competitions. When a person has moxie it means that they have a positive attitude and are confident. People with moxie have the courage to go for it and try something new. They have energy and enthusiasm in everything they do.